maximize profits. Web 2.0 is more a series of trends than a basket of "things": --More and more, power is in the hands of individual users and their networks. --Web content is distributed, sorted, combined, and displayed across the Web in formats and places not anticipated by the content creators. --New technology now makes rich online experiences and complex software applications possible, and at a low cost. --Integration is breaking down walls between PCs and mobile devices. Web 2.0 is a landscape in which users control their online experience and influence the experiences of others. Business success on the Web, therefore, now comes from harnessing the power of social networks, computing networks, media and opinion networks, and advertising networks. Web 2.0 takes advantage of higher bandwidth and lighter-weight programming tools to create rich, engaging online experiences that compete with television and other offline activities. 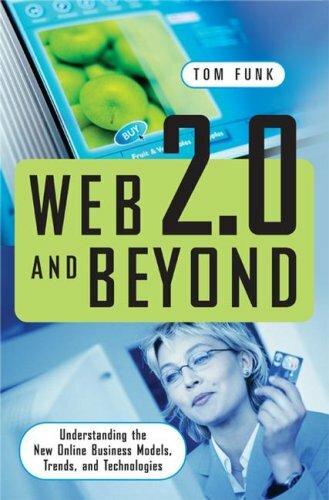 With examples and case studies from real businesses, this book demonstrates what makes a successful Web 2.0 company, regardless of its size or resources. A non-technical guide, it is aimed squarely at the marketer or business manager who wants to understand recent developments in the online world, and to turn them into practical, competitive advantages. TOM FUNK has been involved in ecommerce and Web publishing since 1995. In his six years managing the Web sites of the Vermont Teddy Bear Company, Funk saw online revenues triple, and the company's sites were named to Internet Retailer's "Best of the Web" Top 50. Funk is currently VP of Client Services for Timberline Interactive, a Web development and online marketing consultancy. Introduction: What is Web 2.0 and How Will It Change My Business? Ten Things You Should Do to Make Your Business More "Web 2.0"
Web 3.0: What Does the Future Hold?